Ouverture by Poltrona Frau is a soft and comfortable two-seater sofa with a bright color. 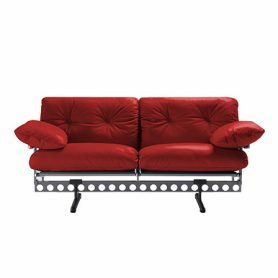 This sofa is perfect to furnish with style the living area of your home but also the waiting room of a studio. Bordeaux color of the soft Pelle Frau® gives it elegance and liveliness and the goose down padding makes it perfect for relaxing in comfort. Poltrona Frau is an international icon of Made in Italy design since 1912. 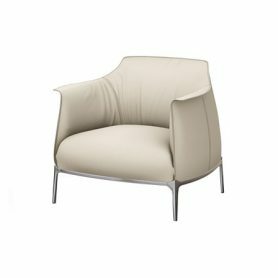 Archibald by Poltrona Frau is an elegant seat designed by Jean-Marie Massaud. The armchair is embellished by contrasting stitching that gives elegance. The upholstery is strictly in Pelle Frau leather. Poltrona Frau has been an international icon of Made in Italy design since 1912. Fumoir by Poltrona Frau is an elegant seat with the eighteenth-century style designed by Renzo Frau. It is a limited and numbered edition made in 1929 with a golden plate that highlights its uniqueness. Fumoir is the perfect armchair to furnish your living room with classic style or for embellish any other room of your home. Poltrona Frau is an international company, icon of Made in Italy design. 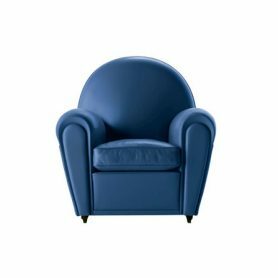 Daisy by Poltrona Frau is a comfortable 30s-style sofa upholstered in Pelle Frau® dark blue leather. 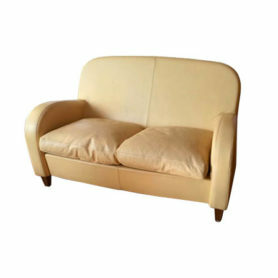 With soft and elegant shape, it is the ideal sofa to furnish your living room. Poltrona Frau is an international iconic brand of Made in Italy design since 1912. 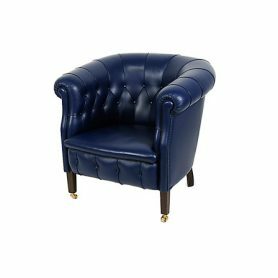 Vittoria Office by Poltrona Frau is a design chair upholstered in dark blue Frau Leather®. 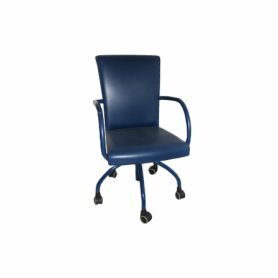 Equipped with wheels and armrests, it is the perfect design icon to furnish your office. 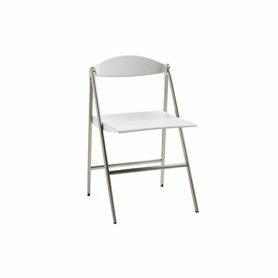 Poltrona Frau is a Made in Italy company that produces design furniture. Brief by Poltrona Frau is a comfortable office design armchair with adjustable back, seat and armrests for maximum comfort. 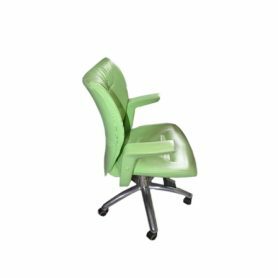 Covered in green Pelle Frau® leather, it is the ideal solution to furniture with class and elegance your environment. Poltrona Frau is a famous Italian company that produces design furniture. 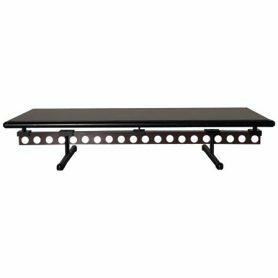 Ouverture is a design coffee table featuring an essential design and a contemporary style. Since 1912 Poltrona Frau is recognized as an international brand, featuring elegance and Made in Italy perfection. 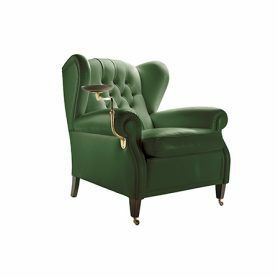 A re-interpretation of the classic Bergere model, the ‘1919’ is an armchair that features a capitonné texture on the backrest. A complementary little arm comes as an optional accessory, designed to hold the Dukes ashtray, as he was a famous cigar smoker. Since 1912 Poltrona Frau has been an internationally recognized brand of Made in Italy design. The Vanity Fair lounge chair is a replica of a celebrated 1903 Poltrona Frau design that became an archetype of modern armchairs. This icon is known over the world for its rounded shape and rows of leather-covered nails that accent the seat back and arms. Since 1912 Poltrona Frau is known as an international brand featuring elegance and Made in Italy quality. 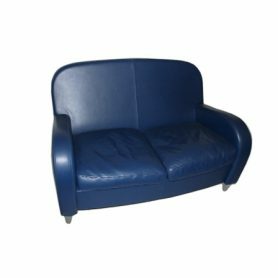 Forme morbide e avvolgenti, rotondità che invitano al relax: il divano Daisy è compatto e caratterizzato da un rivestimento senza pieghe o abbondanze, che mette in risalto tutta la bellezza della Pelle Frau®. 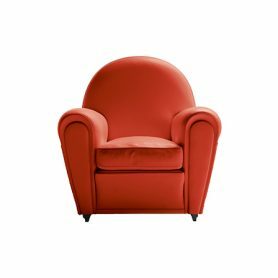 Un design anni trenta rivisitato in nome di forme essenziali, proprie del nostro tempo. 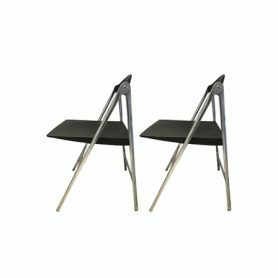 Donald is a foldable chair with a unique structure that reminds us somewhat of a goose’s beak, featuring a contemporary and essential style. Poltrona Frau is a furniture-maker founded in 1912 by Sardinian-born Renzo Frau in Turin, Italy.